Karen Kerschmann is an experienced psychotherapist who has spent more than a decade developing expertise in clinical practice through her work with adults, adolescents and families. 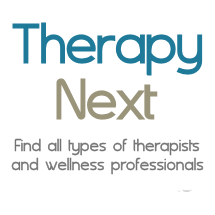 Utilizing two main modalities of treatment, cognitive behavioral therapy and hypnotherapy, she helps clients realize significant change in their lives. Her credentials include the completion of 100-hours of advanced clinical hypnosis training with the internationally recognized psychotherapist Michael D. Yapko, Ph.D. Ms. Kerschmann also consults with Dr. Yapko on a regular basis. In 2010, she further enhanced her knowledge by traveling to Bangalore, India, to attend a training program on parenting millennial teens and she is a leader in the delivery of therapeutic approaches in that area. She also attends training at the Cognitive Therapy & Training Centre, recognized by the Academy of Cognitive Therapy. Ms. Kerschmann is committed to contributing to the field of psychology through research. Her work providing clinical consult in field trials regarding proposed diagnostic criteria has been acknowledged by the American Psychiatric Association’s Diagnostic and Statistical Manual of Mental Disorders, also referred to as the DSM-5. Additionally, on numerous occasions, Ms. Kerschmann’s work with cognitive process in adolescents has been acknowledged in the professional journal The Review of Education, Pedagogy & Cultural Studies. Ms. Kerschmann’s experience includes training with the Family Mediation Centre in Melbourne, Australia, where she contributed to the creation of a parent-adolescent-school mediation program (CRESS), which is now utilized by the Victoria Family Court System. In 2004, Ms. Kerschmann earned her license to practice as a clinical social worker in the state of California while working for the San Diego County Children’s Services bureau. During that time she was a social worker with the Adoptions Program and later helped establish the HOME Program, which provides housing for former foster youth. Ms. Kerschmann was also licensed as a custody mediator in the state of Minnesota in 1999. Karen Kerschmann’s educational background includes a master’s degree in social work from the University of Minnesota, Minneapolis. She also holds a bachelor’s degree in political science with an emphasis in law and political psychology. In addition to her private practice, Ms. Kerschmann is an advocate for current and former foster youth and is a foster parent for Special Families. She provides clinical services to various group homes and foster teens, as well as offering individual, group and family therapy to former foster youth under the age of 25 for a low fee or pro bono. Ms. Kerschmann also volunteered hours of therapy services to perpetrators of animal abuse through the BARC program.